"We accept our failings under the fire safety regulations and take residents safety very seriously. 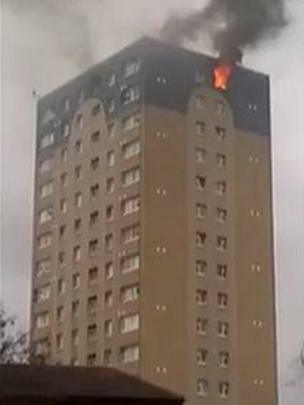 We have been determined to learn lessons and invested heavily year on year to continually improve fire safety, and have made significant progress over the past five years" said a spokesperson for Lewisham Homes after they were prosecuted in court for not maintaining the fire doors and failing to review the fire risk assessment for Marine Tower, in Feb 2016. Following the conviction of a neighbour for arson and manslaughter, talk switched to how improved fire safety management could have made a difference. Lewisham Homes were at pains to express, after their 2016 trial, how much their fire safety management had improved including claims that they were now housing sector leaders in management of fire safety in flats. Dominic Johnson, head of health and safety, Lewisham Homes (Inside Housing). "As well as carrying out regular reviews of risk assessments and recruiting specialist fire safety staff from the London Fire Brigade, the new safety standards include installing emergency lighting in hallways, and setting up hard wired fire detection systems, which are felt to be the best option because the batteries don’t run out" said Mr Johnson. So how are they doing now? Most experienced Fire Risk Assessors will tell you that one of the most concerning aspects of high rise fire safety management is the extent to which, historically, managers have failed to react to recommendations made in an assessment. It isn't uncommon to find, during an assessment, that faults have been highlighted previously and not attended to, only to be highlighted for remediation again. And again. A Fire Risk Assessment carried out at another of Lewisham Homes block of flats in Nov 2017 at Lanyard House found that recommendations made in a 2016 FRA had not been acted upon. Another sssessment carried out at Lewisham Homes' (identical sister block to Lanyard House) Argosy House, in April 2018 found that recommendations made in an FRA done in May 2017 had not been acted upon. Both assessments found serious issues with fire doors and means of escape in both blocks. When two identical blocks of the same age are assessed and one finds half a dozen faults and the other more than thirty, you're right to want to know why. People living in flats need some integrity and some consistency from their landlords. And they need to know landlords are learning lessons from catastrophies like this one that lead to tenants dying in entirely preventable circumstances. Meanwhile, on the same day that Dr Barbara Lane told the Grenfell Inquiry just how crucial their contribution is to fire safety in blocks of flats, Lewisham Homes are still failing to properly maintain fire doors. “[It was a] thoroughly dangerous situation which had in fact existed for some time.” Judge Justice Christopher Hehir (Inside Housing) ... it still does.